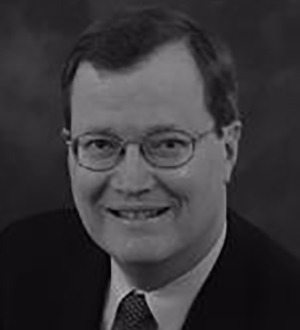 David Cowart is a member of Dentons' Pensions, Benefits and Executive Compensation practice. He is nationally known in his field and specializes in retirement plans; health and welfare plans; deferred, equity and executive compensation; and related merger and acquisition work. He advises privately held and public firms on employee benefits and Employee Retirement Income Security Act (ERISA) and employee stock ownership plan (ESOP) matters. He has also organized practitioner forums with the US Internal Revenue Service (IRS) in Dallas and in Washington, DC. He designs and co-chairs the American Law Institute's premier program on "Pensions, Welfare Plans and Executive Compensation" bi-annually, and co-chairs the American Bar Association's annual National Institute on Benefits Issues in Mergers and Acquisitions. He also has lectured at the University of Texas and Southern Methodist University law schools and is an acclaimed speaker. David chaired the ABA Tax Section's employee benefits committee and spearheaded the ABA's ERISA continuing legal education (CLE) efforts. He was a founding member and the first chairman of the American College of Employee Benefits Counsel, and is a member of both the American College of Tax Counsel and the American Law Institute. He is also a certified public accountant. David has been on the editorial boards of prominent professional publications and has published in various journals, including the Tax Management Compensation Planning Journal, NYU Review of Employee Benefits and Executive Compensation and Mississippi Law Journal. He has been listed in Best Lawyers in America and has been recognized by his peers and clients in Chambers USA, and recognized as a member of the American Law Institute, as a "Texas Super Lawyer" and as one of the "Best Lawyers in Dallas." He has also been cited in Who's Who in America for decades. Represented the independent fiduciary of a qualified plan owning employer stock in a US$1.3 billion "going private" transaction. Assisted in the management of a major cash balance conversion without challenge. Obtained the first taxpayer-initiated voluntary settlement with the Dallas Key District for a disqualified retirement plan (second in the country). Obtained the first IRS determination that the conduct by a chain of church-sponsored hospitals does not constitute an election under section 410(d) of the Internal Revenue Code. Obtained the first prohibited transaction exemption authorizing loans to a qualified plan to fund intraplan investment transfers. Involved in all aspects of ESOP leveraging transactions and curing of troubled or disqualified ESOPs, including an ESOP under joint IRS and US Department of Labor audit. Involved in health plan documentation and operations for Fortune 100 companies. Obtained the first court decision (unpublished) that a golden parachute payment was not compensation for a pension computation. Created the second nonqualified trust within a qualified trust to aid liquidation of a qualified plan invested in illiquid real estate. Represented the professional fiduciaries in several of the Dallas region's banking institutions.